It was hotter than hell at the Woodlands Pavilion in Houston last Friday when KISS brought the blood, sweat and 35 years of rock to the sweltering, face-painted masses. For reasons that are painfully obvious, $10 beers did nothing to beat the heat. The classic, hard-rock anthems were plentiful and the showmanship, as ever, was completely over-the-top spectacular. 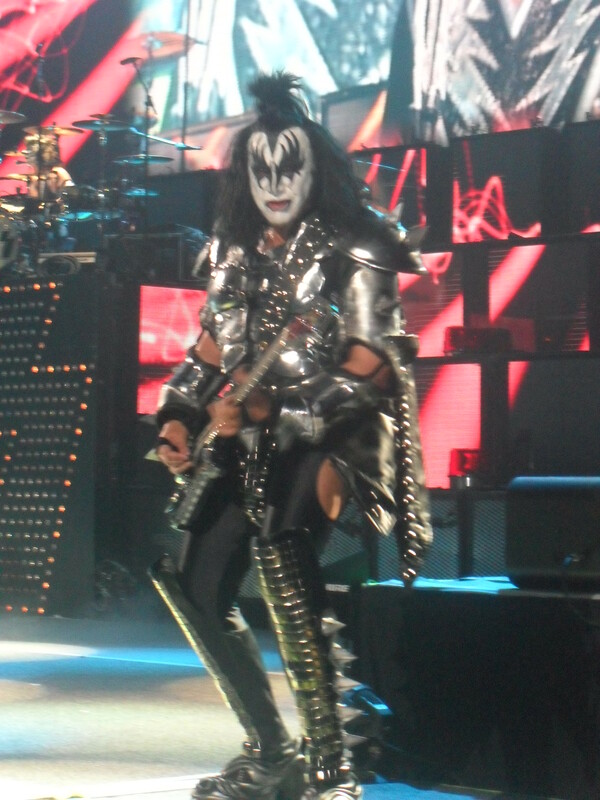 Yes, KISS delivered “Detroit Rock City,” “Love Gun,” “Black Diamond” (always stellar), “Calling Doctor Love,” “Firehouse” “100,000 Years” and “Shout it Out Loud.” Yes, Gene Simmons breathed fire, spit blood and flew into the rafters to sing “I Love it Loud.” Yes, Paul Stanley flew over the audience and sang “I Was Made for Lovin’ You” from a remote riser in the middle of the crowd. 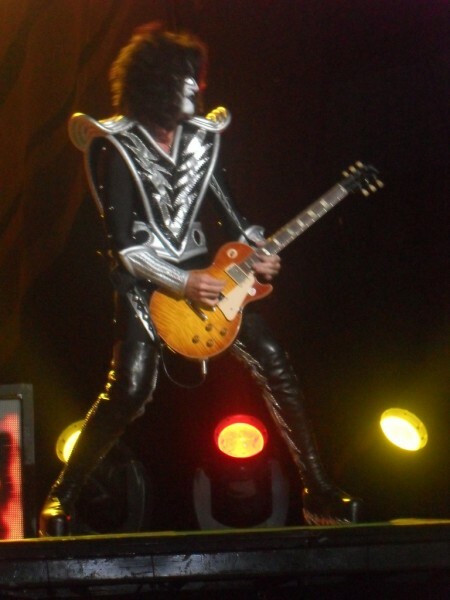 Yes, Tommy Thayer launched rockets from his guitar. Yes, Eric Singer is a better drummer than Peter Criss (love ya, Pete). Yes, it was all larger-than-life and thoroughly entertaining beyond what any other rock band could possibly muster. How’z about a little KISS? A couple relatively new twists included Thayer singing lead vocals on “Shock Me” and Singer stepping from behind the kit to deliver “Beth” (which would have been even cooler if he had let the knowing crowd take over and sing one verse). 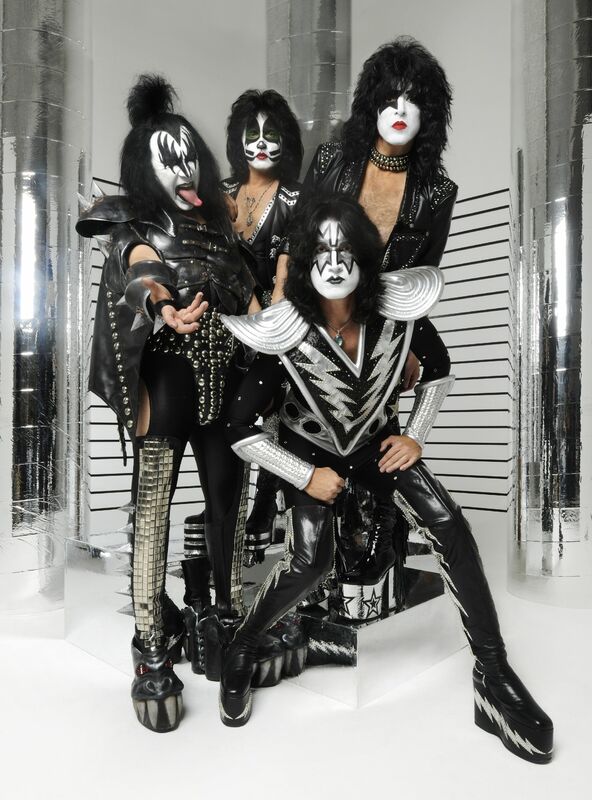 In a push to sell the new album, KISS also played “Say Yeah” (the best song from “Sonic Boom”) and “I’m an Animal” (a song that will be forgotten after the current tour). Besides the stifling humidity and overpriced everything (except free parking, which was welcome with giddy cartwheels) the gripes were few, but worth mentioning. Why KISS continues to include the god-awful “God Gave Rock ‘N Roll To You” (as an encore no less!) is beyond anyone’s best guess. The song is horrible and may possibly be the worst song in the KISS catalog (and it was primarily written by Russ Ballard, with only assists from KISS, which begs the question of why the band is so married to it). As bad as it is, the fact that it’s STILL stuck in my head earns KISS a thousand curses. Drop it. Please! Another song that gets filed under WTF? is the 1987 cheesebomb, “Crazy Nights.” The song is a complete dumper. Lose it and bring back “War Machine” or, better yet, “King of the Night Time World.” I also could care less if I ever hear “Lick it Up” again, although I understand why it continues to be included as one of KISS’ better-known (as opposed to simply, better) songs. For all the band’s bravado and seemingly shameless greed (humility is a word that’s never fallen from Simmons’ famous tongue), KISS earned a roaring round of applause when the band brought a few U.S. Marines on stage and thanked our troops for protecting the United States so that we all may rock in peace each night. It was a class move. Period. Paul Stanley made mention that KISS is donating a dollar of each ticket sale on the current tour to the Wounded Warriors program, which helps our men and women who return home from combat broken in mind, body and spirit. He then presented a check of $400,000 to one of the uniformed men on stage and the place went completely bonkers. KISS, I salute you! In that moment right then and there, the lump in my throat made it possible to forgive Gene for all his well-documented self-importance. There was something so patriotic about an American institution like KISS bowing and giving thanks to America’s troops. God bless you, KISS. And God bless our troops! As for the final encore, how many guesses do you need? Indeed it was “Rock ‘N Roll All Nite” complete with the confetti storm that is every janitor’s nightmare. 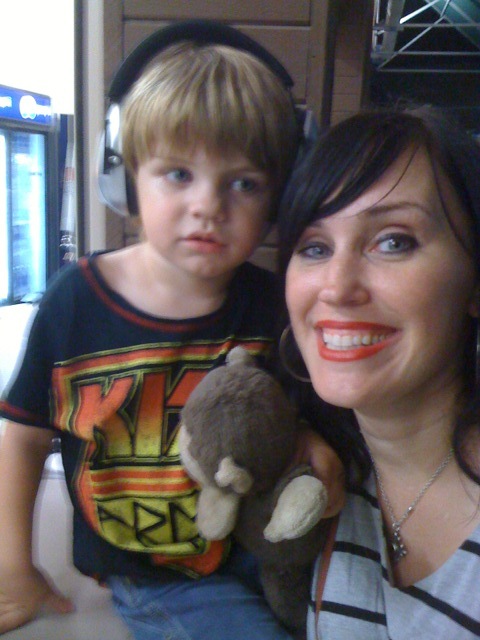 The fact that my 2-year-old son was in my arms looking on in awe as he heard his favorite song at his very first concert made this KISS outing, a night to remember. Forever. Thanks, KISS. The torch has been passed. Awesome stuff Dave, love that photo of Dash and Kim very cool indeed. Am glad that he enjoyed the show as well, hell of gig to start with! I don’t know why they played God gave Rock ‘n’ Roll to you, they played that here back in May and Crazy Nights. Great review though..
Nice one, Dave. KISS is a weird double-edged sword for me. They were my first love when I was 5. I worshiped them through the 70s and love the first few albums of the 80s, but I have always refused to go see them live. I do regret not seeing the Crazy Nights tour though. If they ever do another tour without make-up, I’ve promised myself that I’d go. I can’t stomach the thought of others in Ace’s and Peter’s make-up, no matter if they are better players. Maybe one day…but I doubt it. So true Sean! I feel the same way (except that I’ve seen them live several times). Kudos to them for contributing to The Wounded Warrior Project though!! That’s awesome!! Saw the show in San Antonio, and gotta say it was a great show…this was around the 10th time I have seen them and they are always great…took my two kids for their first “rock” concert and they both loved it. I don’t enjoy the overmarketing of the band and losing members…but I will always enjoy the songs and the shows….gotta get what you can while it’s still around….I definately would change up the set a bit…but hey I’ll take what I can get….